Thermshield, LLC is a premier Thermal Management, and EMI / RFI Shielding solutions provider. Board-Level heat sinks in standard or custom configurations. Heat pipes from 3mm diameter, to 25mm and beyond for super-fast heat transfer in critical applications. 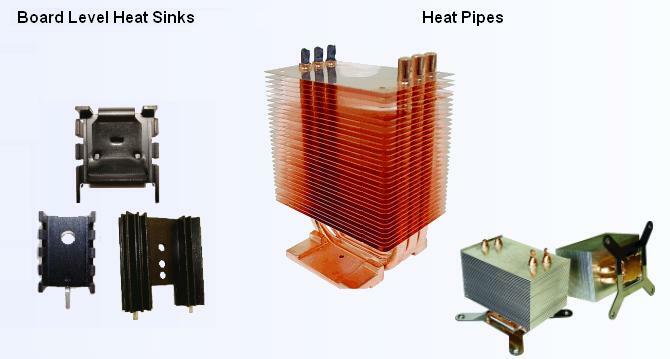 Military approved Folded Fin heat sinks offer mixed Copper and Aluminum in the same package. Ball Grid Array heat sinks and Active Coolers.